MSA’s Altair 4 Multigas Detectors, available from Blackwoods , raise the standard for personal gas monitors by offering a combination of advanced features. Altair 4 Multigas Detectors have a unique MotionAlert option which can be activated to warn others close by if the user remains motionless for a set period of time. And their InstantAlert feature allows users to alert others to potentially hazardous situations. Designed to detect CO, H2S, O2 and levels of gas likely to cause an explosion, Altair 4 Multigas Detectors are as tough and functional as they look, with ribbed rubber housing for secure grip and superb durability. For instance the housing is rated IP67 against dust and water ingress, and has enabled the detector to pass drop test of three metres plus. With a 95dB audible alarm and ultra-bright alarm LEDs on both its top and bottom for maximum visibility, Altair 4 Multigas Detectors also have a vibrating alarm and offers data logging as standard features. In addition, they are compatible with MSA Link Software and can be supplied with a test station for fast and easy bump testing. 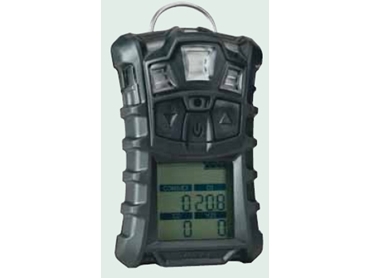 Moreover, the Altair 4 Multigas Detectors have a high contrast display and three large rubberised buttons to facilitate easy operation in low light conditions, or even when wearing gloves.